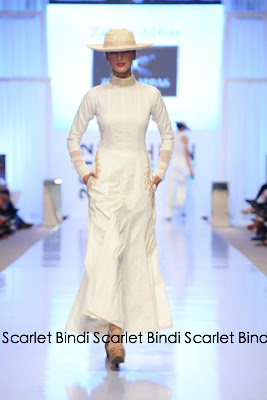 Zaheer Abbas - This collection had a bit of an old school Dior vibe to it with the hats and classic white clothing. 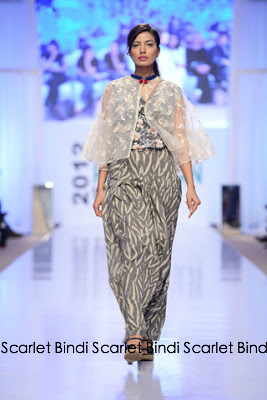 I really like it, very elegant and mature. 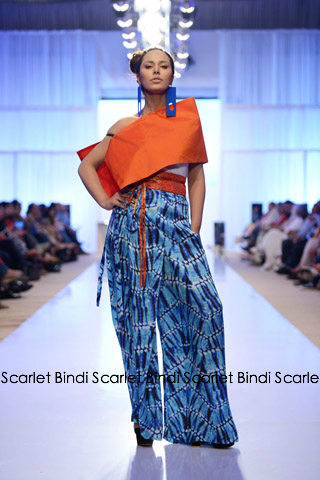 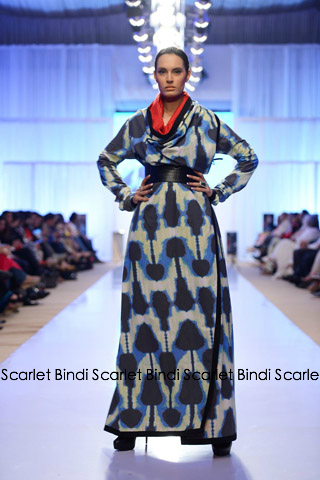 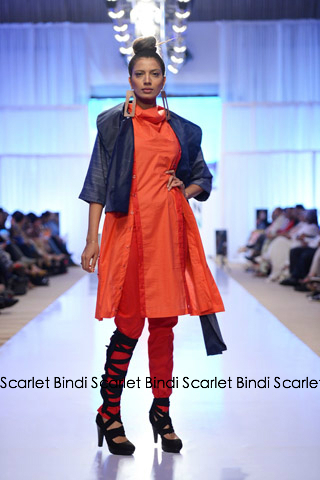 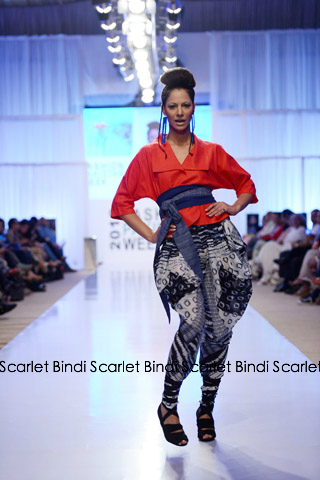 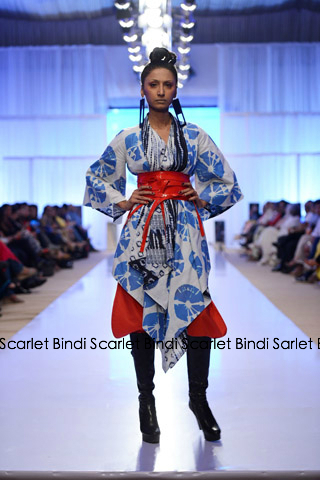 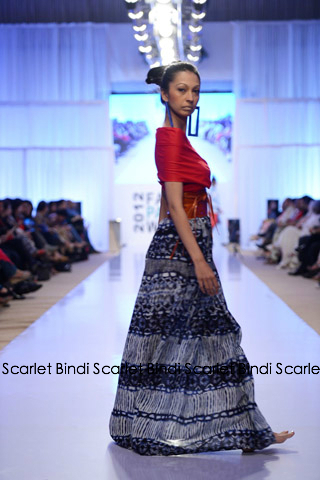 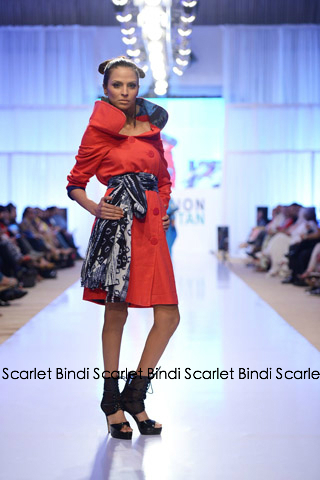 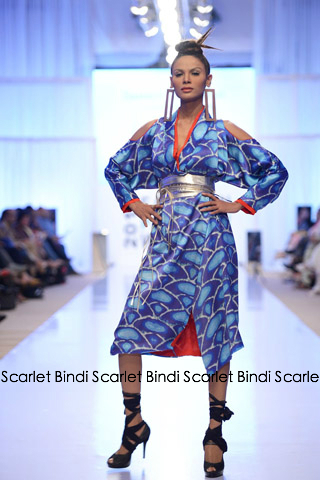 Sanam Chaudhri - Inspired by the Orient, this collection uses obi belts and kimono style sleeves with funky prints. 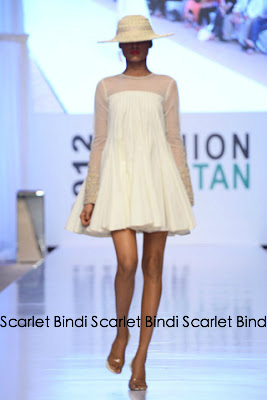 This is definitely a big trend that we'll be seeing in Spring/Summer 2013. 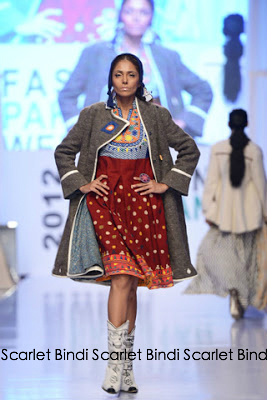 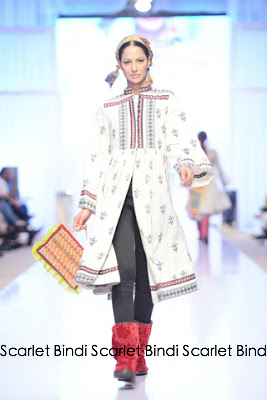 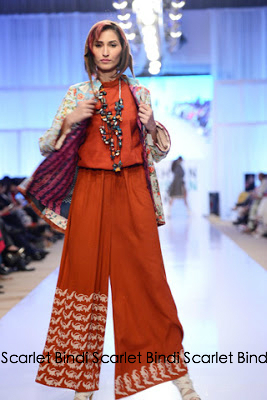 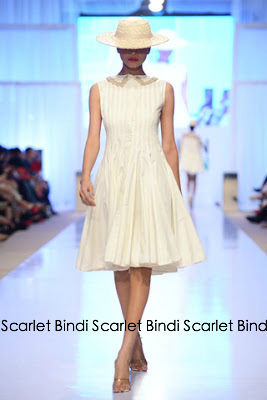 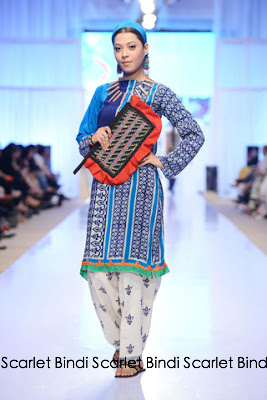 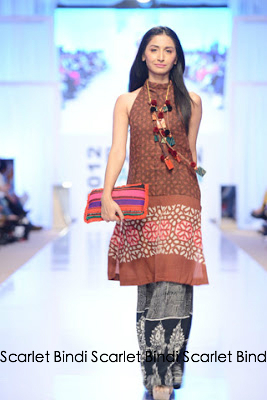 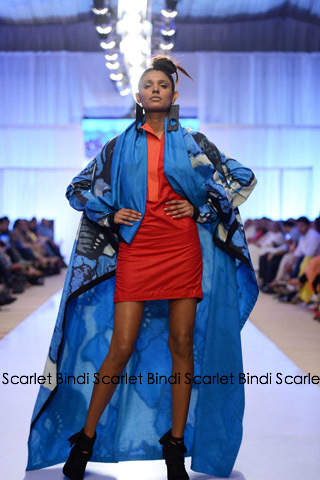 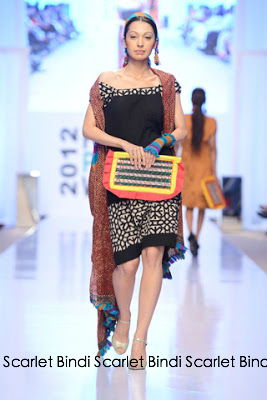 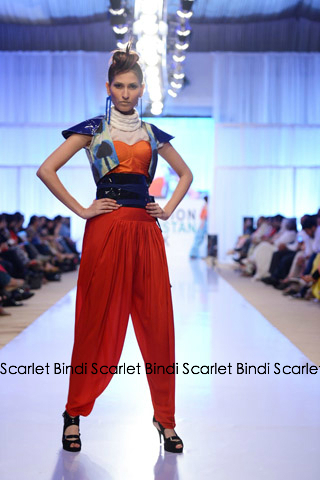 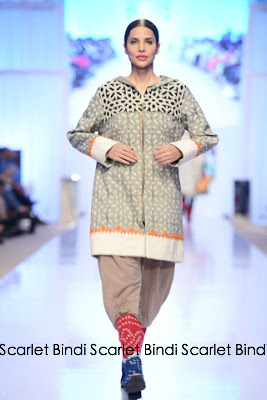 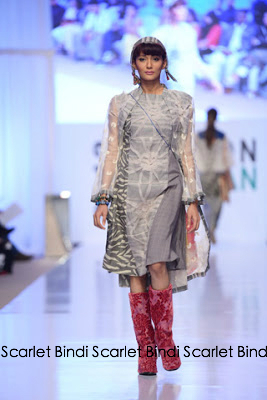 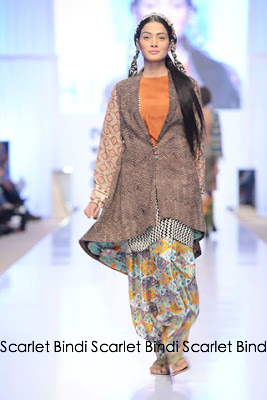 Aamir Baig - Primarily a monochromatic collection, this designer added a South Asian influence to the designs. 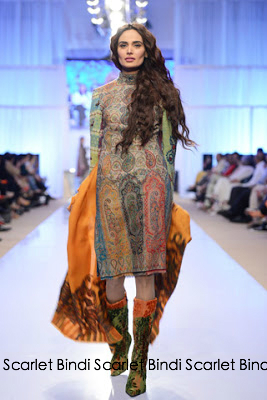 Really makes the clothing stand out from the other collections; love the gold designs on the clothing. 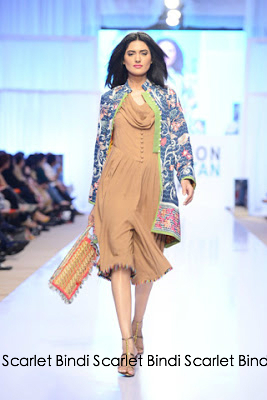 Baani D - A very Spring/Summer collection, there a strong use of colours that have a South Asian feel to them. 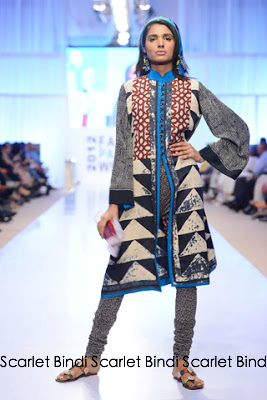 I love the jacket style tops over the salwars.